"Parchment Top Stub Personal Checks" product is already in your cart. Our Parchment Check is the best-selling check on our site. It has a simple, but classic look that allows you to show off your elegant style. 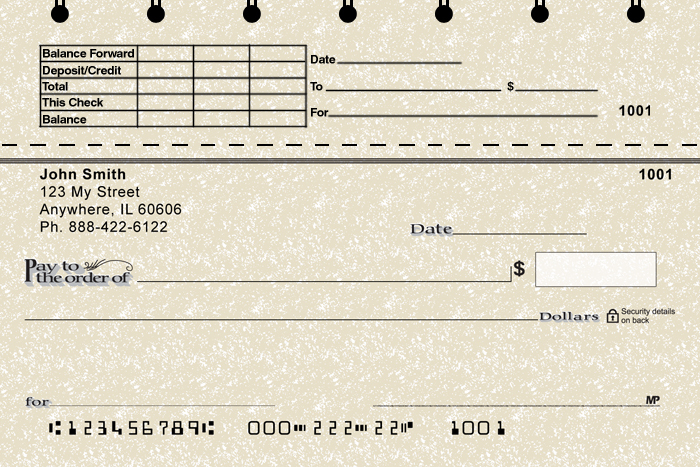 These checks are timeless because of their traditional design. Matching address label and checkbook cover designs are also available.